Few franchises have managed to constantly change things up yet feel instantly familiar like Kirby has over the past two and a half decades. From pinball to platformers, the series’ signature charm has always shined bright while developer HAL Laboratory experimented. 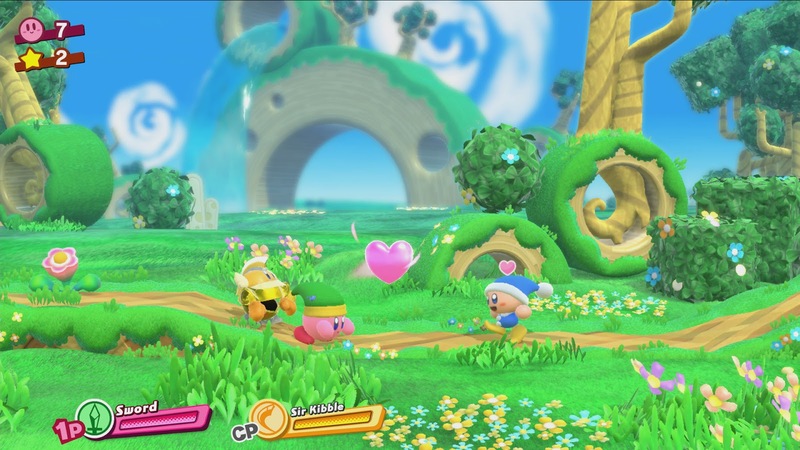 Kirby’s latest adventure, Kirby Star Allies, is no different as it brings the loveable pink hero and his brand of relaxing gameplay to Nintendo Switch. Like most recent Kirby games, there’s a gimmick that takes the series beyond its normal mix of copied abilities. This time around, players can recruit would-be enemies into their squad of heroes. Yes, that means that Kirby can finally just chill with three Knuckle Joes. 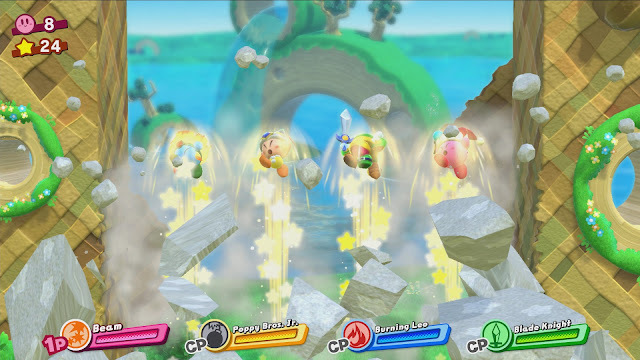 Besides that change, players will find a pretty standard Kirby 64-style game that will force players to obtain certain abilities to solve some puzzles and defeat foes. 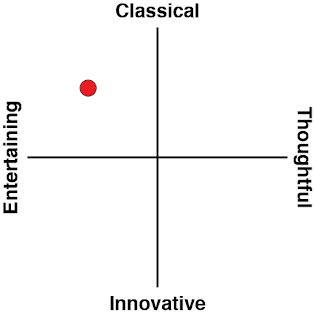 It’s a tried and true formula, and one that fans have come to really enjoy. 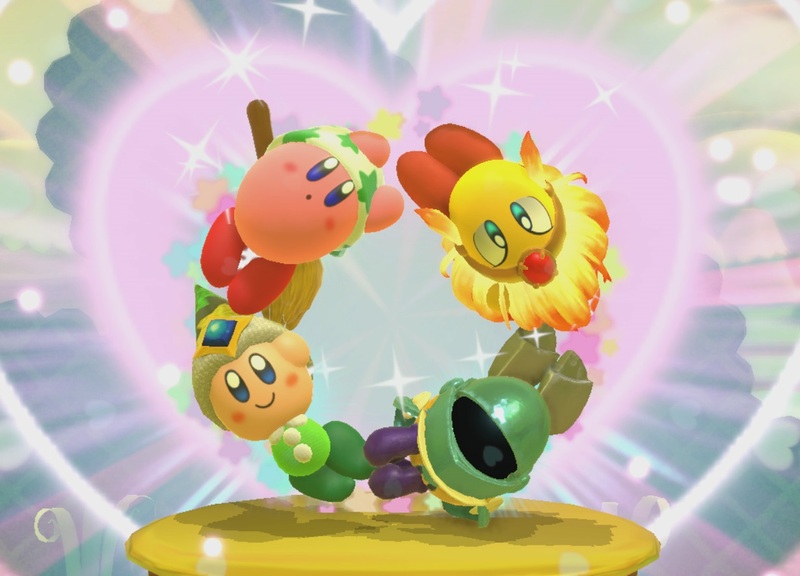 While the recruiting aspect doesn’t make a huge impact immediately, it does turn Kirby Star Allies into a cooperative title. Up to four players can join in on the action, and it’s a perfect showcase of the Joy-Con’s versatility. I found the game was at its best when played with a friend, as players are able to combine abilities in some really creative ways. This can also be done with computer-controlled characters, but it never feels quite as planned out even when a cool combo move occurs. 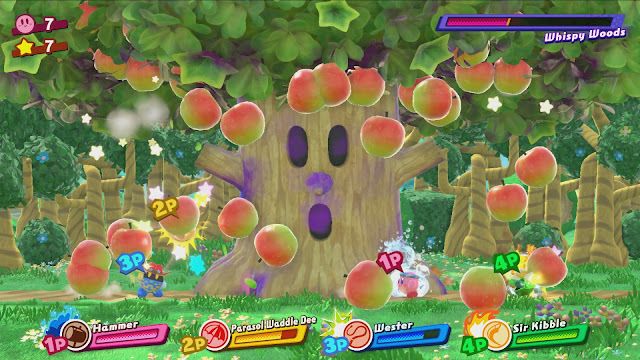 This element of experimentation helps the stages stay interesting throughout Kirby Star Allies, even if they can skew on the generic side. There’s a requisite water level, one in an icy area that makes the player slide, and even one with fireballs that cause players to move out of the way from the flaming projectiles. If there’s a platforming trope then Kirby probably has it, but it’s all done in such a charming, colourful way that it never really takes away from the experience. That said, the stages could’ve used some additional twists in terms of design, as none of them really stand out from the rest. 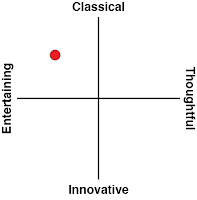 It’s a game filled with solid stages, yet nearly all of them are totally forgettable. Kirby has never been the most challenging platformer, but having a group of four with you at nearly all times does make this decidedly more lax in terms of difficulty. Often times I could just walk around willy-nilly in a level while the rest of my gang took out any enemies that wandered on-screen. It doesn’t always make for the most captivating experience, but it is awfully handy if you’re looking around the screen for any potential secrets. After all, the true Kirby experience has always been more about trying to find its hidden treasures rather than merely completing the game. The only times I ever lost a life in Kirby Star Allies was during the game’s boss battles. Rather than being puzzle-like experiences, these are mostly grinds against foes with large health bars. It’s surprising how quickly some of the baddies go down when there are four characters chipping away at their health, but a few can pack quite the punch if players aren’t quick to use their block button. Players will find themselves staring at the credits after just a handful of hours, as this is definitely a game that can be cleared within an afternoon or two. The short length shouldn’t be much of an issue for completionists, though, as there are collectibles to go back and find (often hidden behind a harder puzzle or in a secret area), but those looking for a lengthy adventure will be disappointed. I didn’t find too mant reasons to replay levels, so the experience felt a bit flat once the credits began to roll. However, Kirby games are known for having a lot of additional content outside the core game, and Kirby Star Allies is no different. The two more in-depth side modes essentially reuse parts of the core campaign. The first one, Guest Star, allows players to actually control all of the enemies you can recruit rather than Kirby, while The Ultimate Choice is essentially a gauntlet of boss encounters. Neither winds up being markedly better than the core game, but they’re both fun ways to freshen things up rather than just replaying the same levels again. Sadly, not all of the bonuses are a winner. Star Slam Heroes has up to four players using the Joy-Con to hit meteorites into outer space, but that description makes it sound far more interesting than it actually is. It’s an incredibly boring mode that even kids wouldn’t find fun for more than a round or two. Additionally, there’s a mode called Chop Champs, which is essentially the Tree Dude game from SUPERHOT, where you have to alternate sides while chopping down the world’s longest tree. While Tree Dude tied into a metacommentary on Internet communities, Chop Champs merely exists in an attempt to entertain. It’s far too repetitive to be much fun (and the optional motion controls prove a huge disadvantage), and it’s yet another miss. These two modes feel more like rejected Mario Party minigames than fleshed out modes, and I can’t see anyone spending more than a few minutes with them. It’s a far cry from some of the more enjoyable multiplayer modes seen in past games, and they could’ve been axed without hurting the product any. While it’s a little on the short side, Kirby Star Allies provides plenty of colourful fun throughout its story. While the bonus modes are largely a miss, there are plenty of secrets for dedicated players to find in the levels and some especially difficult puzzles to solve. HAL Laboratory may not be innovating here, but they’ve once again delivered an incredibly polished platformer that should appeal to all. Those looking for some cooperative fun will definitely want to check it out, as there are few better reasons to separate the Nintendo Switch’s Joy-Cons.